After graduating from the University of Exeter in 1989 with a BA (Hons) degree in Geography I completed a PhD in the Departments of Geography and History at Royal Holloway University of London in 1994. Subsequently I held academic posts at the University of Oxford (1994-1999), Queen’s University Belfast (1999-2004) and the University of Leicester (2004-2007) before joining the University of Exeter in 2007. I have received research funding from a range of organizations including the British Academy, the Leverhulme Trust and the Royal Geographical Society. I have given invited presentations on my research to several international research institutions including Harvard University Art Museums and the Yale Center for British Art. In 2014-15 I was awarded a British Academy-Leverhulme Senior Research Fellowship for research on the work of the Victorian Cornish photographer, geologist and folklorist Robert Hunt. My core research interests are in the historical and cultural geography of modernity, and concern three overlapping fields: photography and visual culture; British colonialism and postcolonialism; and Anglo-American geographical knowledge and science. My research is based mostly on archives and collections. Drawing interdisciplinary approaches to visual images and material culture, I seek to contribute to debates across a range of disciplines, including cultural and historical geography, history, anthropology, art history, photography and visual culture. Memories of a Lost World: Travels through the Magic Lantern, Goodman Fiell, London, 2013. Much of my research concerns the contested meaning and practice of photographic representation and the power of photographic media to shape human understandings of the world. Previous work has explored the ways in which photography was used within projects of British imperialism in the nineteenth and early twentieth century (see Picturing Empire: Photography and the Visualisation of the British Empire 1997), as well as the evolving relationship between photography and the geographical imagination (see, for example, Picturing Place: Photography and the Geographical Imagination, 2003, co-edited with Joan M. Schwartz). Supported by a British Academy-Leverhulme Senior Research Fellowship in 2014–15, this on-going research examines the connections between place and popular science, particularly early photography, in nineteenth century Britain through the significant but often overlooked work of the Cornish chemist, photographer, geologist and folklorist Robert Hunt (1807-1887). A number of articles in refereed international journals are underway to further disseminate this research to scholars in geography, history and Victorian studies. This research investigates historical and contemporary uses of photography in exploration, from Victorian voyages into the landscapes of ‘Darkest Africa’ to modern space travel. Drawing on a range of recent, interdisciplinary scholarship I argue that while photographic media has long been associated with the human conquest of space the actual meanings of exploration photographs have changed in response to dynamic currents of history, culture and geography. This research was supported by a Small Research Grant from the British Academy. 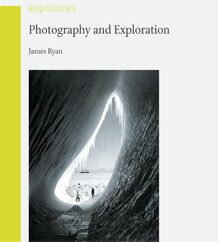 See Photography and Exploration, Reaktion Books, London and University of Chicago Press, Chicago, in press, 2013. This project, with Caitlin DeSilvey (PI) and photographer Steve Bond, investigates the material cultures associated with the making and mending of everyday objects in the South West of England. The research was funded through a grant from the Arts and Humanities Research Council (2010 – 2012, £80,762), and created a Blog (Small is Beautiful? Visual and material cultures of making and mending), a website (www.exeter.ac.uk/celebrationofrepair), and a book (Visible mending: Everyday repairs in the South West). I have a long running interest in the history and geography of exploration. Recent work in this area led to the volume (co-edited with Simon Naylor) of New Spaces of Exploration: Geographies of Discovery in the Twentieth Century (IB Tauris, London, 2010). I also have research interests in the creation and dissemination of popular images of geography, exploration and empire, notably through early visual technologies aimed at mass audiences, such as the lantern slide show. See for example: James R. Ryan, Introductory Essay, in Charlotte Fiell, Memories of a Lost World: Travels through the Magic Lantern, Goodman Fiell, London, 2013 www.carltonbooks.co.uk/books/products/memories-of-a-lost-world. I am always pleased to hear from researchers in related fields. I welcome proposals from anyone interested in pursuing PhD research in the history of photography and visual culture, history of geography and exploration, and British colonial history in the nineteenth and twentieth centuries. AHRC Collaborative Doctoral Award Extended Programme. £150k for three PhD bursaires 2008-2013 with Porthcurno Telegraph Museum, Cornwall. (With colleagues Dr Catherine Brace and Dr Nicola Thomas). Ryan JR (2013). Photography and Exploration. London, Reaktion Books. Ryan JR, Naylor S (2010). Exploration and the Twentieth Century. In Naylor S, Ryan JR (Eds.) New Spaces of Exploration, I B Tauris & Co Ltd.
Ryan JR, Thomas N (2010). Landscapes of Performance: Staging the Delhi Durbars. In Codell JF (Ed) Power and Dominion: Photography and the Imperial Durbars of British India, New Delhi: Alkazi Books. Fiell C, Ryan JR (2013). 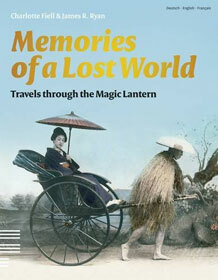 Memories of a Lost World: Travels Through the Magic Lantern. London, Goodman Feill (Carleton Books). Ryan JR, Fiell C (2011). Memories of a Lost World., Fiell Pub Ltd.
Naylor, S, Ryan J (2009). 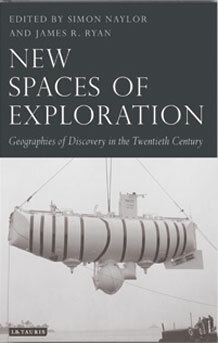 New Spaces of Exploration: Geographies of Discovery in the Twentieth Century. London, IB Tauris. Ryan JR, Schwartz JM (eds)(2003). Picturing Place: Photography and the Geographical Imagination. London, IB Tauris. Ryan J (2017). Placing Early Photography: the Work of Robert Hunt in Mid-Nineteenth-Century Britain. History of Photography Full text. Ryan JR (2010). Hidden Histories of Exploration: Researching the RGS-IBG Collections. JOURNAL OF HISTORICAL GEOGRAPHY, 36(4), 488-489. Author URL. Ryan J (2006). “Our Home on the Ocean”: Lady Brassey and the Voyages of the Sunbeam, 1878-86. Journal of Historical Geography, 32, 579-604. Ryan J (2004). History and philosophy of geography: discipline and discourse, 2001-2002. Progress in Human Geography, 28(2), 235-245. Ryan J (2004). Views in a warm climate: Reflections on imagining the tropics, 2004, 24, 1, pp. 18-22. Singapore Journal of Tropical Geography, 24(1), 18-22. Ryan J (2003). History and philosophy of geography: Bringing geography to book, 2000-2001. Progress in Human Geography, 27, 94-101. Ryan JR (2003). Who's afraid of visual culture?. Antipode, 35(2), 232-237. Ryan J (2003). Who’s afraid of visual culture? a response to Gillian Rose’s Intervention: “On the need to ask how, exactly, is geography ‘visual’”. Antipode, 35(2), 232-237. Ryan J (2002). History and philosophy of geography 1999-2000. Progress in Human Geography, 26, 76-89. Ryan J (2002). The mosque in the suburbs: negotiating ethnicity and religion in South London. Journal of Social and Cultural Geography, 3(1), 39-60. JRyan, Naylor S (2002). The mosque in the suburbs: negotiating religion and ethnicity in South London. Social & Cultural Geography, 3(1), 39-59. Ryan J (2015). Introduction: Colonialism and Vision. In Vicente F (Ed) O Império Da Visão: Fotografia No Contexto Colonial Português (1860-1960), Lisbon: Grupo Almedina. Ryan J (2015). Photography and Empire. In MacKenzie JM (Ed) The Encyclopaedia of Empire, London: Wiley. Ryan JR (2005). Photography, Visual Revolutions and Victorian Geography. In Livingstone DN, Withers CJ (Eds.) Geography and Revolution, Chicago: University of Chicago Press, 199-238. Ryan J (2004). On Visual Instruction. In Schwartz VR, Przyblyski JM (Eds.) The Nineteenth-Century Visual Culture Reader, London: Routledge, 145-151. Ryan J (2004). Postcolonial Geographies. In Duncan JS, Johnson NC, Schein RS (Eds.) A Companion to Cultural Geography, Oxford: Blackwell, 469-484. Ryan J (2003). Mosques, Temples and Gurdwaras: new sites of religion in twentieth-century Britain. In Gilbert D, Matless D, Short J (Eds.) Historical geographies of Twentieth Century Britain, Oxford: Blackwell, 168-183. Ryan J (2001). Images and Impressions: Printing, Reproduction and Photography. In MacKenzie JM (Ed) The Victorian Vision: Inventing New Britain, London: V&A Publications, 215-239. 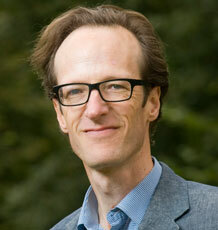 James Ryan is Director of the MSc Sustainable Development.